When I first got home from getting my suprapubic catheter put in, I had tons of questions. But there was nobody to really answer them. Google searches helped some. But I had SPECIFIC questions. I could only get answers if I called my Urology department and left a message for a nurse or doctor and hope they’d call me back. That didn’t always happen. That doesn’t have to be the case for folks starting now (it’s Sep 1st, 2017 as I write this)! 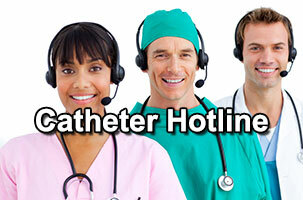 There is a free hotline you can call to get answers to your catheter related questions. And you can get those questions answered by a Board Certified physician. Just call this number: 833-MY-CATH-911 (833-692-2849). The Surgical Drainage Awareness Foundation is offering this service to help people (like me) who get this extra body part, basically, and sent home with very little information. The hotline is there now to help folks who have a desperate need for information about their new reality. Hi Barbara. Sorry to hear about the UTIs. If you haven’t already, I suggest reading these 2 posts from the site: Urinary Tract Infection and Catheter Care, Catheters And Urinary Tract Infections, and Tips For Avoiding UTI From Dr. Mario. As for wearing the leg bag with a suprapubic catheter, I wrote a little about that here: Tip For Wearing A Leg Bag With A Suprapubic Catheter. The main thing is to try to keep things constantly moving in the right direction. So drink plenty of water and never let the bag get higher than the entry point in your abdomen such that things flow back INTO your bladder. As for wearing a leg bag, my catheter tube went from a few inches below my belly button (I now have two :-P), and so below my waistline, and the end of the tube came down to about 3-4 inches below my crotch. So a pair of drawstring pants (the main type I wore with this thing) had the waistband ABOVE the spot where the tube entered my body. I then attached extra tubing form the leg bag to the end of the catheter, which was secured to my leg with a Grip-Lok (see my post Tip To Avoid Tearing Out Your Foley Catheter) sticker on my leg. Then I used the elastic bands on the top and bottom of the leg bag to secure it to my leg. I preferred wearing the bag low on my leg, ust above the ankle. But a lot of people like it up high above the knee. You can choose what is more convenient and comfortable to you. Both of those articles were written in 2013. Do you have any updated opinions on what you talked about. I am 82 and am stuck with a urinary catheter for the rest if my life. Still active (go to the Y for exercise 6 days a week for several hours each day) and do volunteer work. I had a second opinion on my condition and it was either live with what I have or wear diapers and worry about linking, etc. I have chosen to keep the catheter. I have not had UTI yet and have been wearing this for about 9 months now. I have the catheter changed once a month and I clean out the bags once a week, I get two new leg bags and one new night bag once a month. I use a plug so I can take a good shower and have even wore it to do yard work without any side affects. Anything else I should be aware of? Hi Walter. 2013 was the year I went through my 6 months of catheterization and urethroplasty. So that is when most of the articles were written. But I have not changed my thoughts on much of anything since then. One thing that wasn’t around back then, and which is still new enough that supplies seem to be limited, is the product called Freedom Belt. It sounds like you’ve got a good way to secure your cath in order to allow you to be active. So you may not need it. I wish I had one in 2013. You can learn more about it here: https://livingwithacatheter.com/get-active-freedom-belt/. One other thing that wasn’t available to me, but should be for you if you are in the US, is the Duette catheter. 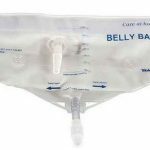 Its two balloons prevent the inlet holes from getting close to your bladder walls, and that eliminates the “pinch” inside that happens often with a standard Foley type catheter. You can learn more about the Duette here: https://livingwithacatheter.com/the-duette-a-better-catheter-than-the-foley/. Hope all that helps! HI! I just got sent home from the hospital after three admission since January 2, 2018. i used to intermittent cath and have been switched to an indwelling with talk of a suprapubic or possible urinary diversion if this does not solve the problem. My issue is that I was having so much bleeding that I was clotting off my catheters and could not void without them. I now have a 24F three-way in place in case I need to go back for CBO again. I am flipping out. I was sent home only with bags. I have already spilled all over the bathroom multiple times I have no idea what to do with the tubing, how to wear my clothing, or how to clean the bags. It also hurts!! I just tried to call the line, but there wasn’t an answer. I will try again in a bit. Would you mind directing me to posts that may help?? Thank you! I’m so sorry you’re having this hard a time! I just reached out to Dr. Mario and he said the catheter line is up and they have been taking calls. He would like you to send me your name and phone number so he can call you! Awesome, huh? If you don’t want to put your phone number in a public comment, send it to my email at ken@livingwithacatheter.com. You can put it here, if you like, and I can delete it as soon as you tell me they’ve called you. either way. when he talks about CathSecure, he is referring to a sticker catheter holder. I used (and recommend) the Gip-Lok (https://livingwithacatheter.com/grip-lok-adhesive-catheter-holders-now-available-order-individually/). I hope that helps with the bag issue. As far as washing the bags – you only need to rinse them out. You’ll find others on the internet saying you need to use detergent or soap etc, but there is no evidence that this makes any difference in preventing UTIs.